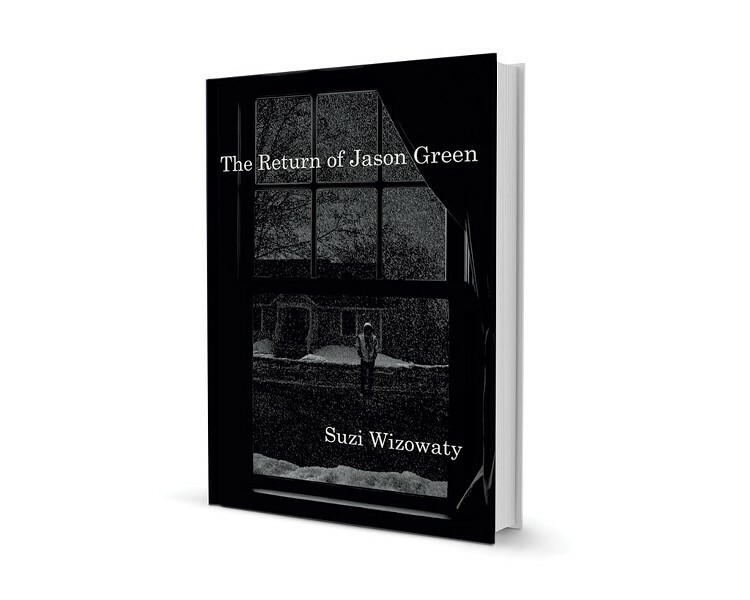 The Return of Jason Green by Suzi Wizowaty, Fomite Press, 316 pages. $15. As a subject for fiction, the death of a young child is a hard sell. The aftermath of such a loss is perhaps an even harder one. Yet Burlington author — and former Vermont state rep — Suzi Wizowaty has taken on both those subjects in her third novel, The Return of Jason Green, published by local Fomite Press. The novel opens seven years after the death of 11-year-old Adam, but grief hasn't ceased to shape the lives of his parents, cultured Max and Alice Henry. (He's a philosophy professor, she a photographer and designer, in a city that is pretty clearly Burlington.) Struggling to find meaning in her life as she enters middle age, Alice caustically recalls the well-meaning friends who told her after her son died, "'You can always have another.' ... We didn't want another," she points out. "We wanted Adam." Wizowaty's three protagonists — who narrate their stories in alternating chapters — coexist in a symbiosis that is civilized and stable, if not exactly happy. Then in glides the titular interloper. Jason Green was Adam's best friend, and he played a role in the boy's death for which Alice will not forgive him. After a long absence, this child reappears as a sullen 18-year-old — the boy Adam might have been — and begs Max to take him on as an "apprentice" in philosophy. By using Richard as his go-between, Jason ignites a quiet rivalry between the two older men, each of whom wants something from the teenager that he can't quite articulate. Jason's yearning for a philosophical apprenticeship — and with it, perhaps, some form of absolution — has all the makings of a precious literary conceit. But Wizowaty draws her characters with enough unruly naturalism to prevent them from becoming symbols. Jason displays a plausible adolescent resistance to Max's heavy-handed teachings ("it's all talk, man"), while Alice warns her husband that "something is bubbling up in me." Even the normally laid-back Richard begins to consider the possibility that "maybe I wasn't a rational, reasonably decent if repressed accountant, but a frustrated fat man exploding with predatory desire." What the novel could use, ultimately, is more of that bubbling and exploding. Wizowaty's three narrators spend far more pages self-consciously analyzing their impulses than acting on them; Alice, for instance, buys a drum set as a midlife-crisis gesture, but doesn't end up making much noise. While the characters' delaying and distancing tactics feel true to life, they slow the novel's pace considerably, particularly because Wizowaty too often has her narrators tell us how they feel rather than showing us. Musing about his tutelage of Jason, for instance, Max announces that "I believe — how can I say this without sounding melodramatic? — my own redemption depends on my rescuing him." That theme of redemption is rather too transparently linked to the book Max is attempting to write — about the concept of punishment — and to his conflicted feelings regarding Jason's role in his son's death. The questions that Max obsessively contemplates — Does punishment serve any real purpose? When does an accident become a crime? What does it mean to be "responsible"? — are clearly ones that also matter profoundly to Wizowaty, who is the founder and director of Vermonters for Criminal Justice Reform. But these provocative questions don't lead to much pay-off in the novel, largely because Jason's actual transgression (when it is finally revealed) is so minor and easy to forgive. Though the themes of crime and punishment are compelling, they end up feeling extraneous to the book's carefully wrought three-character domestic drama. Jason Green is less interesting in himself — and in the eventual, predictable revelations he offers — than in his power to disrupt the balance among Max, Alice and Richard. Wizowaty has a talent for dissecting enlightened people to discover the savage feelings underneath, as she already showed in her 2002 ensemble novel The Round Barn. Many local readers will see themselves in her characters and their all-too-human responses to a life-fracturing grief, even if the conflicts stirred up by this Return are too easily resolved, the epiphanies too simply won. The original print version of this article was headlined "Quick Lit: A Triangle of Love and Loss in the Queen City"